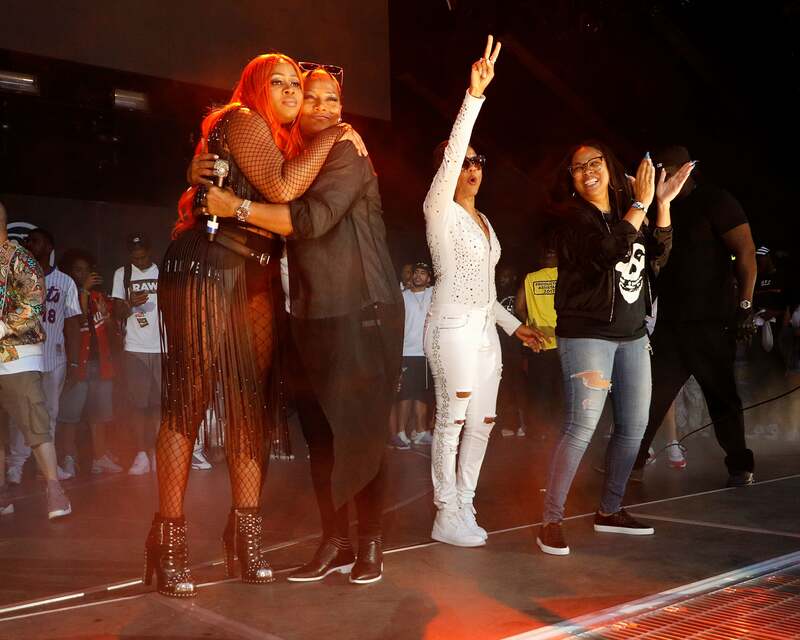 Remy set the Summer Jam stage on fire with an all-star line up of past and present women in Hip Hop. This year’s Hot 97 Summer Jam concert in NYC was another one for the books and the most talked-about moment of the night came courtesy of none other than 2017 ESSENCE Fest performer Remy Ma. After getting the sold-out Met Life Stadium crowd on their feet to the tune of her catalogue of hits including “Conceited” and “All The Way Up,” Remy took the night up another notch and made history by turning the stage into a who’s who of past and present female emcees. EPIC!!!!! Lure, Latifah, Rage, Rah Digga, Monie Love, Remy Ma & Young MA! This is what Sisterhood in Hip-Hop is all about! All the MC's in this pic is better than 90% of the Male MC's of today! Keeping the momentum going, Hip Hop icon Lil Kim graced the stage next with an electrifying performance of her infamous verse from Mob Deep’s “Quiet Storm” remix. While unity was indeed the theme of the night for Remy, she of course couldn’t let the moment slip by without delivering a scathing performance of her diss record “Shether,” complete with Internet memes targeting her current nemesis, Nicki Minaj. Other highlights of the show included Chris Brown bringing out DMX, DJ Khaled being joined by his adorable 8-month-old son Asad and Faith Evans’ all-star tribute to the Notorious B.I.G. featuring members of the original Bad Boy family including 112, Total, Mase, Lil Cease, Lil Kim and The LOX. Be sure to grab your tickets to see Remy Ma make her ESSENCE Fest debut, alongside more of the biggest names in music, at the 2017 ESSENCE Festival in New Orleans this July.